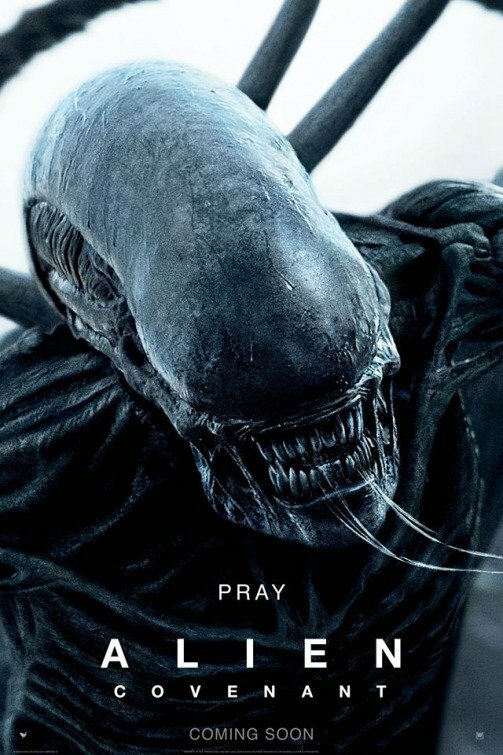 Run, hide and pray are the words of wisdom attached to the latest batch of lime-green international posters for Alien: Covenant. Coming to us by way of CBM, each one-sheet features H.R. 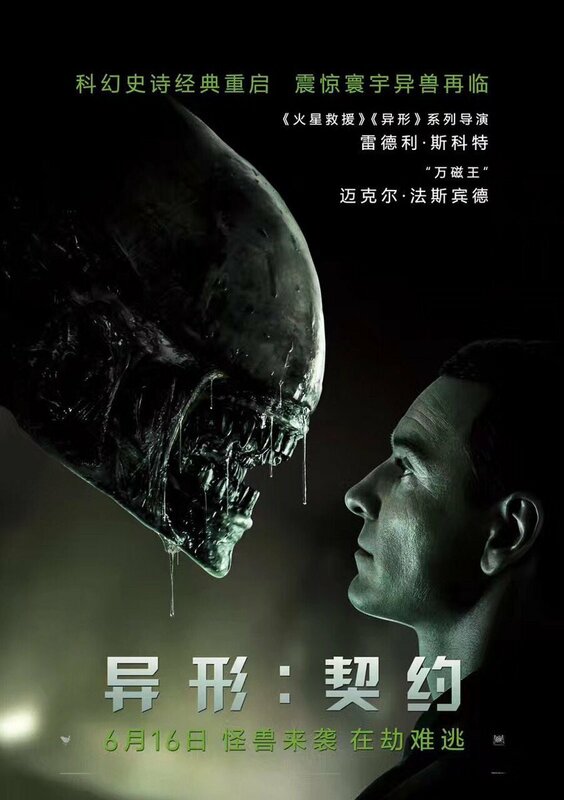 Giger’s grotesque abomination at a different stage in its vastly accelerated lifecycle, while there’s also a shot of Michael Fassbender’s synthetic David – or Walter, perhaps? – staring down the muzzle of a fully-grown Xenomorph. That chasm between android and alien has featured in Covenant‘s marketing campaign before, and much like Prometheus before it, 20th Century Fox has pumped out a series of viral videos designed to chronicle the creation of the Walter model. Spoilers: it’s a cutting-edge upgrade to the David model. 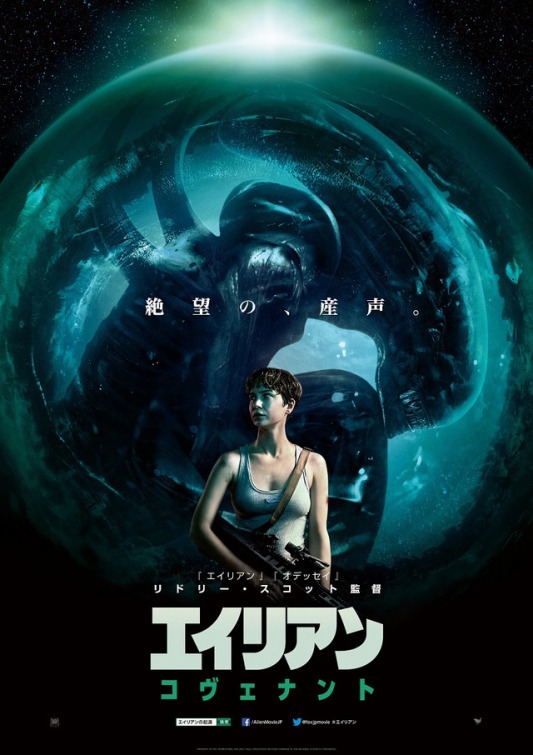 But the big question is how the two androids will react to the Xenomorph, the Neomorph and all of its many permutations – each of which seems to be more horrific than the last. 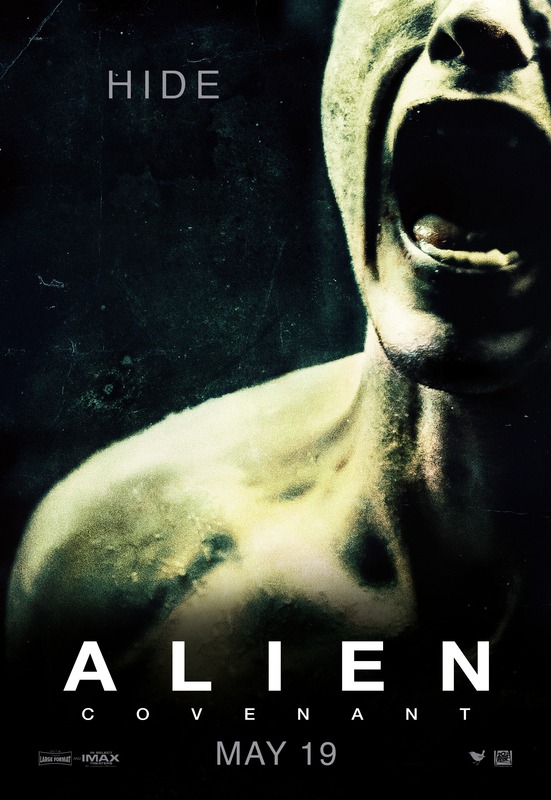 And though he once famously declared the alien to be dead – “done…cooked,” as it were – Ridley Scott has big plans for the future of his Alien franchise. Granted, they may not stretch for an entire new trilogy, but even if Scott only produces one direct sequel to Covenant, it’ll come at the expense of Neill Blomkamp’s pitch for Alien 5, which has seemingly been blown out of the airlock, for lack of a better phrase. It’s a disappointing end to a sequel that showed so much potential – even if it was unfortunately short-lived. 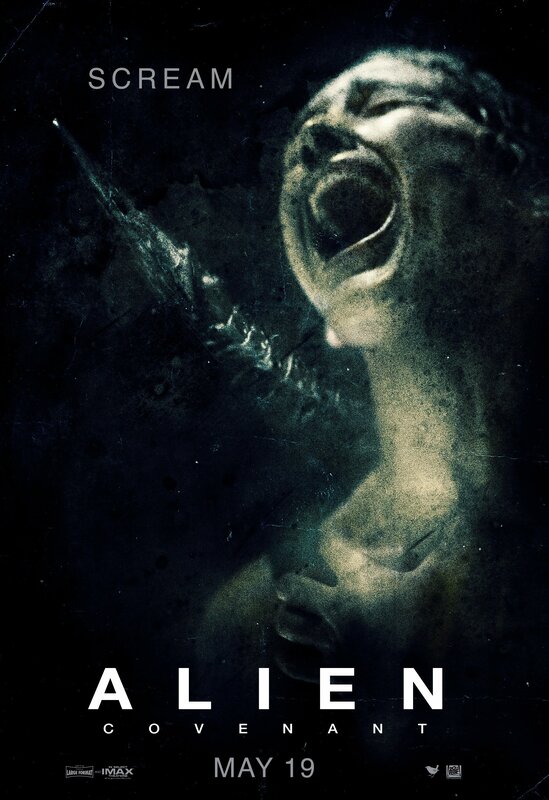 Off the back of its international bow – an international bow that has scored approximately $42 million and scores of admittedly mixed reviews – Alien: Covenant is expected to unleash a new breed of terror upon North American audiences on Friday, May 19th.